Tired of visiting the east side of Indonesia, don’t worry. Your journey doesn’t end here! There are some places to go in the east side of Indonesia, Sumatra island to be exact, Now, we go to Riau, specifically in a little city called Dumai. They are natural attractions, and here’s good news, almost all of them is free of charge! So what are you waiting for? Let’s check out all things to do in dumai indonesia! One of the things to do in Dumai Indonesia is the sunset at Purnama Beach. The beach is located in the village Purnama, West Dumai District is one of the beach which is a new and favorite tourist destination in Dumai Indonesia. 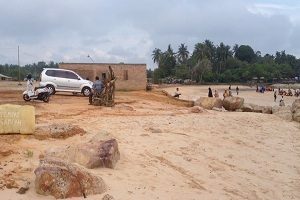 If you want to find an exotic beach in Dumai Riau, Teluk Makmur beach is the right choice for you to visit. This beach has a coastline line filled with large rocks. 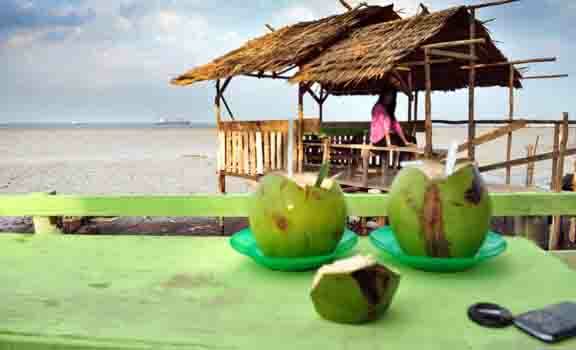 This beach is located in the North Dumai City, precisely at Jalan Mattahim Teluk Makmur Village Medang Kampai. This beach has a very beautiful atmosphere at dusk where you can enjoy the beautiful evening sky with the vast sea from the lodge that available along the beach. Ah, nice place. This marina beach is located approximately 15 – 20 km from downtown dumai but the road to the beautiful beach marina puak is quite smooth, but we have to prepare everything if the weather conditions turned into unfriendly one. Weather can sometimes be sunny, can also cloudy. This beautiful beach marina puak can be enjoyed by anyone with diversity of activities such as fishing or just chatting with family. Sometimes we can see fishermen searching for fish, but this happens rarely, but surely you can meet them. What a good place. 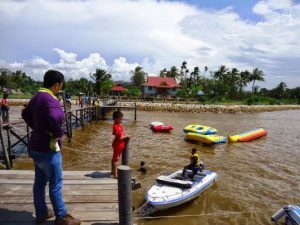 Koneng Beach located at Makmur Bay Village, Medang Kampai Sub-district, Dumai City, Riau, is one of the places where people choose to relax in the afternoon or spend their Saturday and Sunday holidays. This place is usually a place for selfie and child play, as well as pre wedding. Indeed we do not encourage children or adults to swim away. The perfect time to swimming should be when the water receded. Because this place still has many limitations and is being developed. But its very nice indeed. 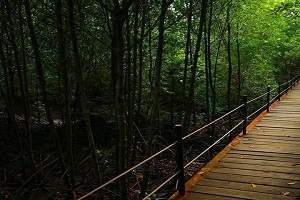 Forest Dumai Tourism is one of the right choice for you lovers of natural attractions. 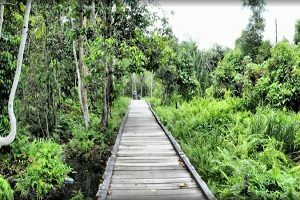 The beauty of the forest is located in the middle of Dumai city, just in Bukit Jin Bukit Timah Village, West Dumai District, 12 km from the city center. With an area of ​​44 hectares, it can be reached by public transport. The beauty of pine vegetation makes this forest worth your time to relax and take pictures with beautiful pine background. Make no mistake, this attraction is not only ordinary mangrove forest. 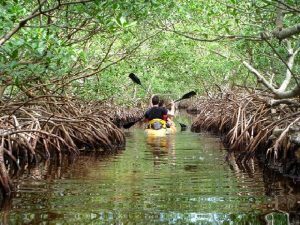 Precisely mangrove forest attractions that also become a conservation area has got a glance of many people, ranging from local governments, researchers, nature lovers, students, of course also from the community and visitors of Domestic tours. By carrying the flagship program of Mangrove ecosystem, this area becomes more special. Many people participating in the conservation. One of the activities, namely the mangrove conservation program. Surely it will be a relaxing place. In Dumai, you can find a historic site in the form of a guesthouse of Princess Seven who became a historical place from the legend of Putri Tujuh and has a close relationship with the Long Tomb and Bansal Aceh in the river mosque. 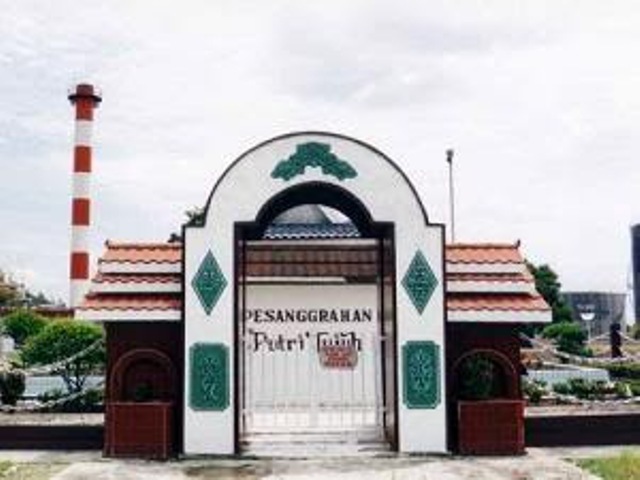 Pesonarahan Putri Tujuh cemetery is located inside refinery complex of Pertamina Dumai Corp. 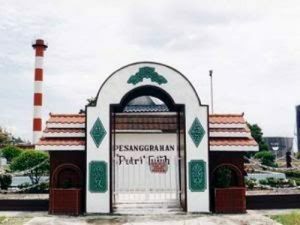 While you take vacation in Dumai, you can do a history tour to the cemetery named Pesanggrahan Putri Tujuh. Here, you can get to know the story of the rejection of the love of Princess Seven which ended tragically. And in the end, that story is one of the reasons why this city called Dumai. 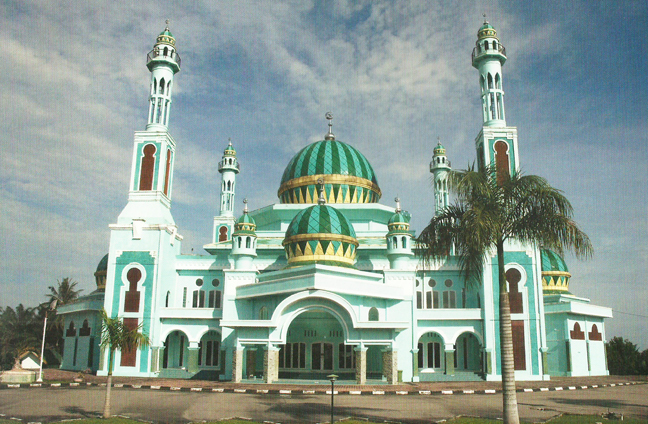 Al-Manan Great Mosque was built by Dumai City Government. This city is the administrative city of pemekaran from Bengkalis Regency, Riau Province. Dumai known as the Oil City is listed as the second largest city in Indonesia after Manokwari. Dumai community pride mosque is named Al-Manan. This name is one of the 99 names of Allah SWT. Al-Manan means the Grantor of Grace. There are two dome placed on the right and left side of the building. In the four corners of the main dome there is a standing tower that adds magnificent effects to the entire mosque. So marvelous. 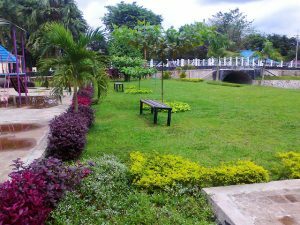 The name of the tourist attraction Tirtamarta Tirtamarta is located in the central district of Purbalingga village, Kutasari. In Situ Tirtamarta, visitors can swim in the water while take selfies with some property provided by the manager and do not worry for you who can not swim, you can taking pictures while “swimming”, because the water level is only 1 meter deep. Water clarity in there is supportive for taking photos in this water but still must be assisted by the lighting of sunlight so visitors are suggested to visiting there tirtamarta in around 08.00-14.00, when the weather is nice and bright. Very beautiful. 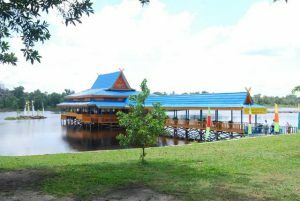 Ecotourism Bandar Bakau Dumai or also known as Nature School Bandar Bakau Dumai is a mangrove forest area located on Jl. 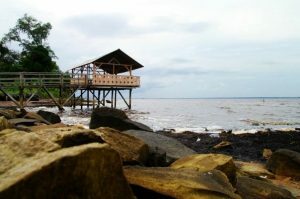 Nelayan laut Ujung, Pangkalan Sesai, Dumai City, Riau Province. This area covers about 31 hectares including Muara or Kuala Dumai River. Dumai River is a river that divides Dumai city into the West and East. 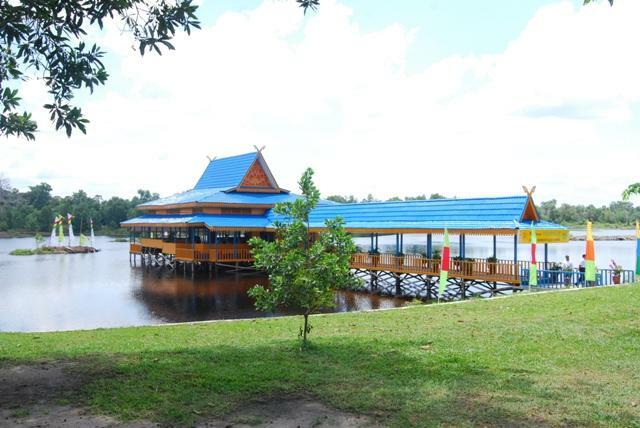 Dumai River is a place of legend or history of Princess Seven which contains elements of mangrove fruit of the past histories that became the identity of a cultural event in Dumai City. Worth to check! 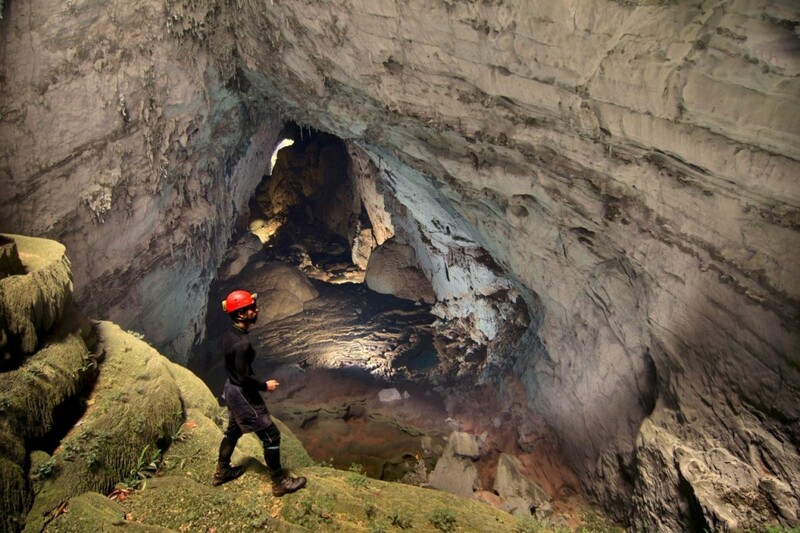 Next one of the historic natural attractions is to visit Pelintung Cave. The cave is located in Pelintung Village, Medang Kampai District, 35 km from downtown Dumai and shaped like a hill called Kerudung hill. It is said that this hill, according to the legend of the local community is a treasure trove by the Siamese pirates originating from China Saigon, they pile up the cave with rocks. Finally the cave resembles a towering hill shape. With the story of this cave, it becomes a magnet to attracts many tourists. You must visit it too! What’s more things to do in Dumai Indonesia? Bukit Gelanggang Park is one of the Green Room in Dumai City, Gelanggang Park was originally a football field (2003), but Dumai city government fix the field with the development of Tugu Reformasi in 2009, and continued the construction of the Fountain in the year 2010, Jogging Track Development and to date the facility has been transformed into an important Tourism Object in Dumai City. 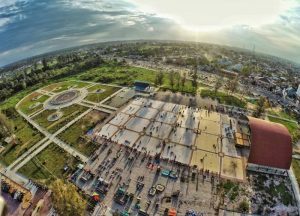 The development of Bukit Gelanggang Park is expected to be a refreshing area, to integrate the environment, society and health for the people in Dumai City. Currently there is Wi-fi / hotspot in this Bukit Gelanggang park area, so the visitors can also refreshing while doing other activities in cyber netwok, whether it is Business activity, and other activities. Perfect place for families. The lake is located on Jln. Soekarno Hatta, Bukit Batrem Village, Dumai, Riau. This lake has a very beautiful panorama when dusk arrives. In the area of ​​Bunga Tujuh lake, visitors will find a verdant expanse of grass and lake surrounded by trees that make this lake looks so beautiful. In this place you can enjoy the facilities as a resting place to enjoy the lake. In addition there are some facilities for you who want to play water. Plus, you don’t need to pay anything to enter it. A nice thing to hear, right? That’s some beautiful attractions found in Dumai, Riau. And now you must prepare your budget to visit it, and enjoy things to do in Dumai Indonesia. Happy Holiday in Indonesia!